As the value of processes increases with each step downstream, the value of sterility and leak detection becomes even more critical. The confidence of a final integrity test performed on a BioProcess Container (BPC) prior to use, at the point of use, is what the Thermo Scientific™ inSITE™ Integrity Testing System provides to customers. The advantages of the inSITE system extend the level of quality assurance that Thermo Fisher Scientific offers to the end user. 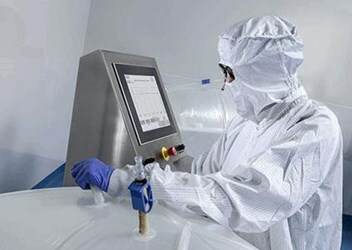 Although stringent standards—such as raw material inspections, in-process pressure decay testing, sealing validations, and packaging and shipping procedures—are maintained for all products, there is potential for damage after the product leaves the facility, specifically during BPC handling and placement. At the critical stage of fluid filling, the inSITE system offers a level of confidence to biopharmaceutical manufacturers by helping to ensure that their product will enter a viable BPC.